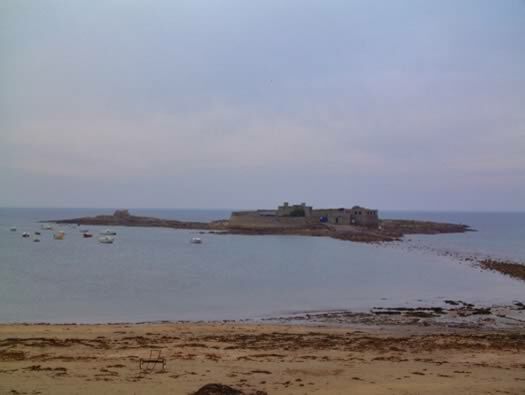 Wn Lo26 is situated to the western side of Fort Bloque covering the beach . 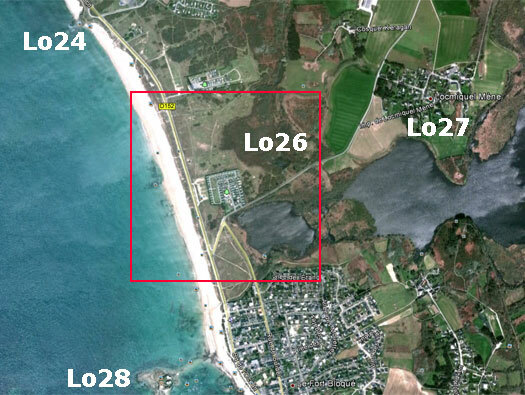 Take the Ploermeur road out of Lorient and then D162e to Fort Bloque, turn right along on the D152. 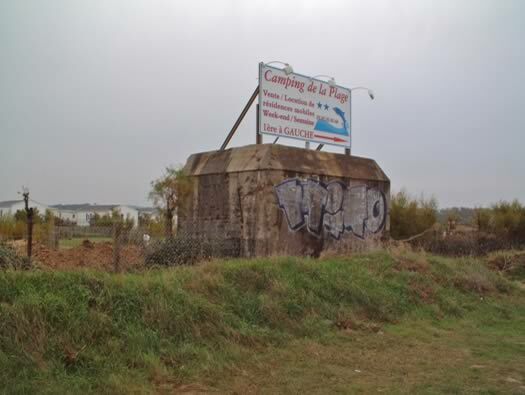 You will see Fort Bloque laying just off the beach. 1 x Sk/ Doppelschartenstand + 3cm KwK. Plus a Control Centre and a Cable Switch Bunker. 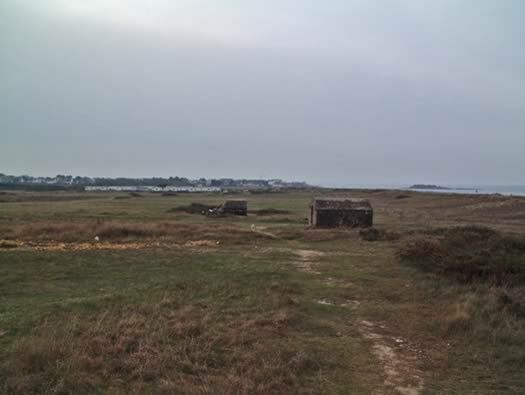 This coast was quite well protected as it could have been the back way into the Lorient U-boat pens. 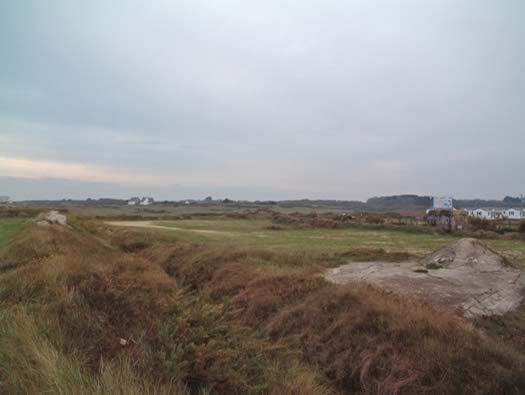 A determined attack could have landed here and moved over land into Lorient. 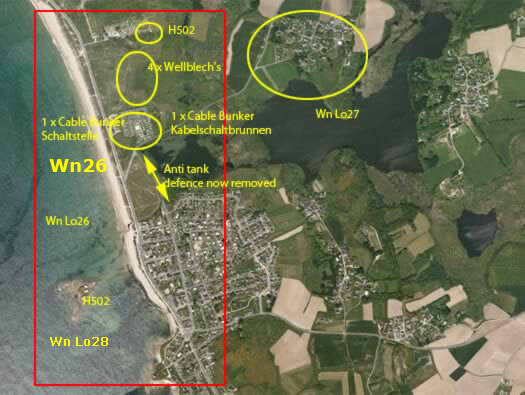 Wn Lo26 covers the long beach up to the village of Fort Bloque covered by the red square with Lo24 above, Lo25 & Lo27 behind. 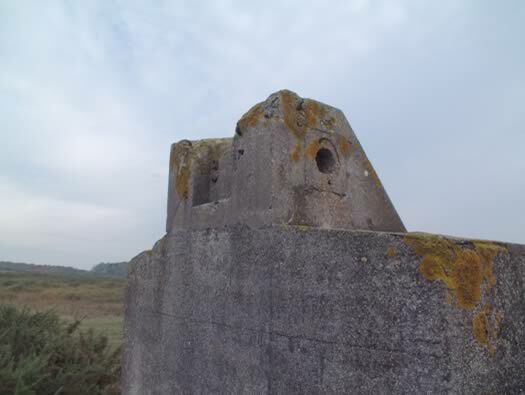 There were three open emplacements for 5cm KwK guns, one double 5cm KwK bunker all I believe now removed(or I did not find them!). 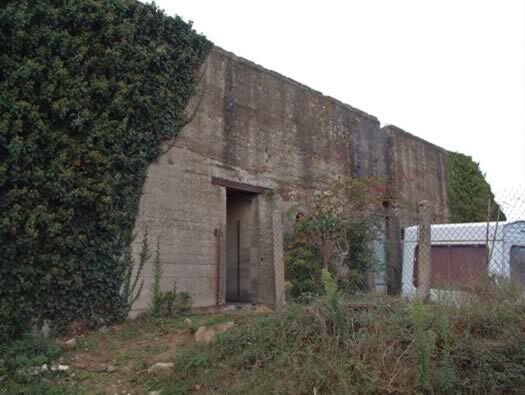 There is an H502 inside Fort Bloque and another in the north of the Wn Lo26. The list of bunkers only says there is one H502??. 3 x R600b open emplacement. 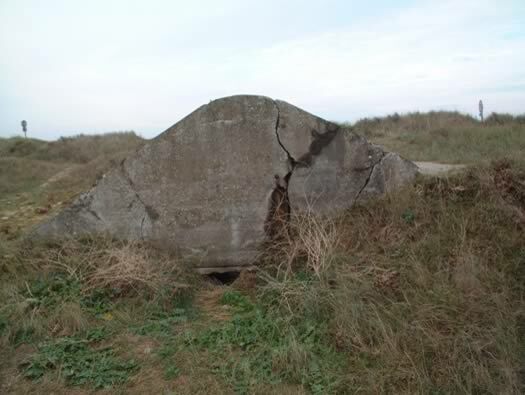 As far as I saw there was nothing left of the three R600b's and the Doppelschartenstand. .
R502 twin group bunker with a periscope and two rooms for about 14 men. 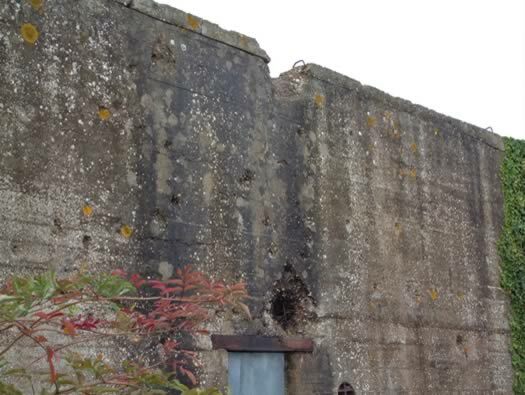 Note the extra side wall, earth would have been piled up against the front and sides to protect it from shelling from the sea. Plan of an R502 the red dot is the periscope. How it may have looked with earth piled up. There would be heating, tables & chairs, enough bunks that could be folded back against the walls to allow more space. 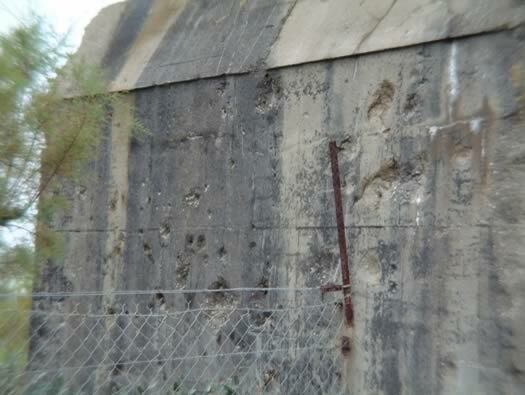 The periscope would allow anybody inside to view 360deg around the bunker..
Damage done during capture by the Americans. Heating in the crew room. 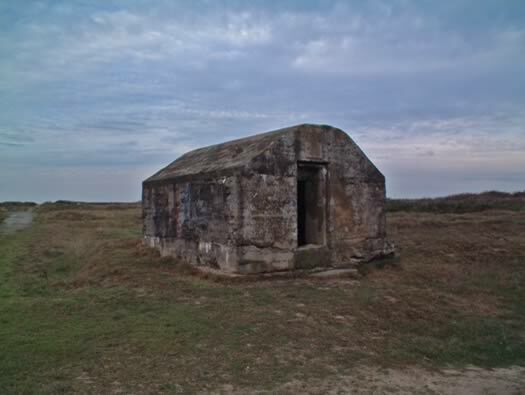 A Wellblech is a half round tin/steel hut reinforced by a concrete roof & sides. 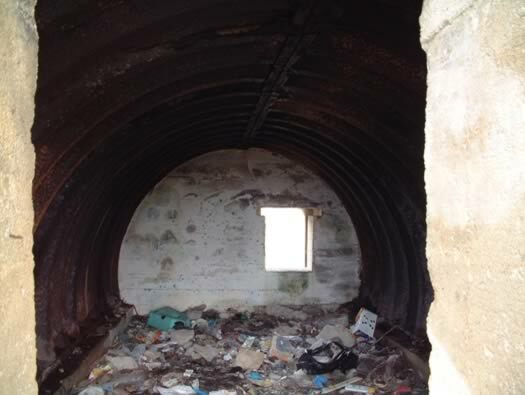 Corrugated iron used in a Wellblech shelter. 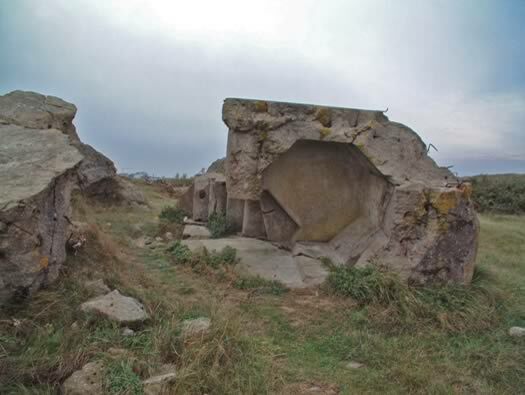 This one is in very good condition with the door facing away from the sea with a small window to allow some light and also can double as an escape hatch. Inside showing the window/escape hatch. 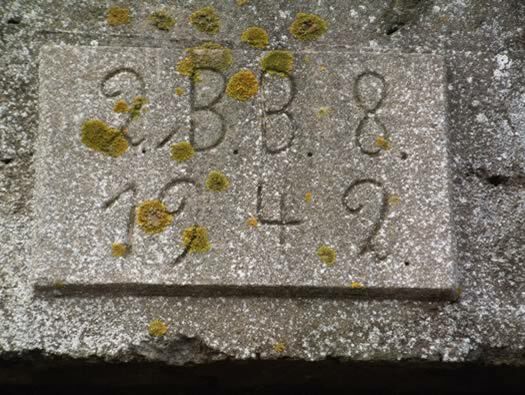 The Plaque Above the Door. 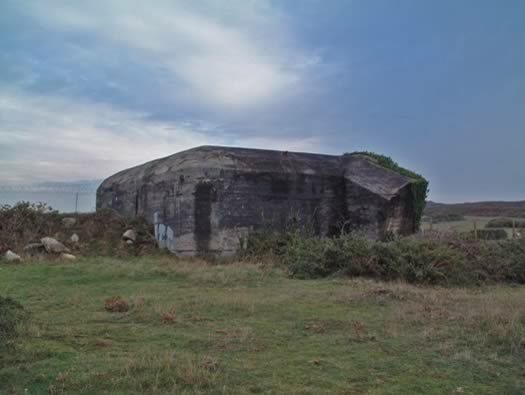 This is the unit that was stationed here when they built the bunkers. This one is buried into the ground. This looks like more battle damage. 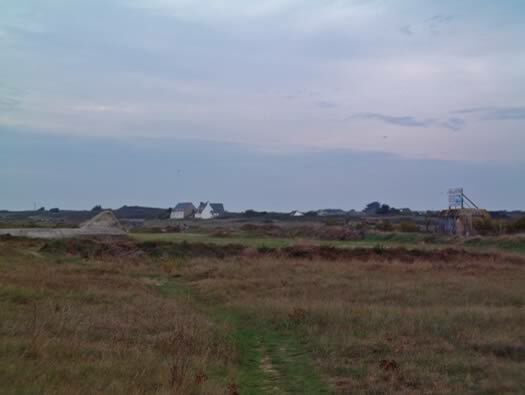 When Brittany was liberated Lorient was left in German hands. I am not sure of the exact area held but I know a bar in Etel was the place where the capitulation of this area was signed. The bar where the treaty was signed. 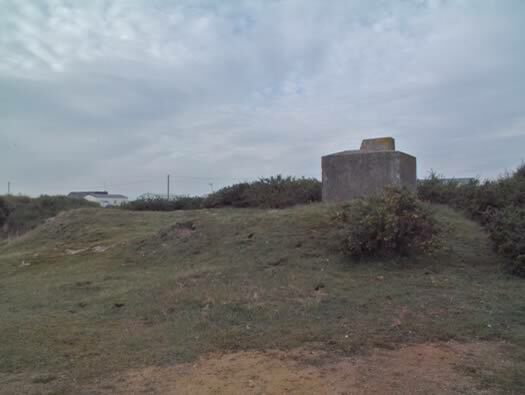 One thing with cable bunkers is that they are quite rare but can be found. 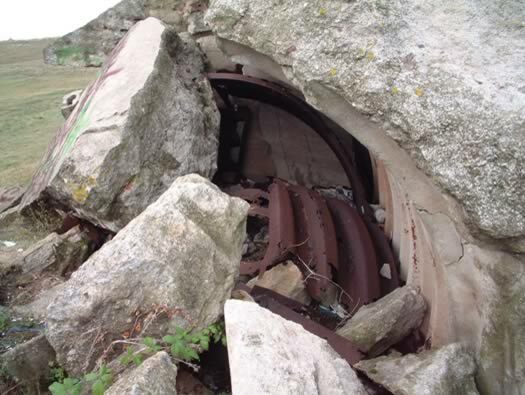 What ever it does this is a common feature of a cable bunker? Connection point for telephone lines? 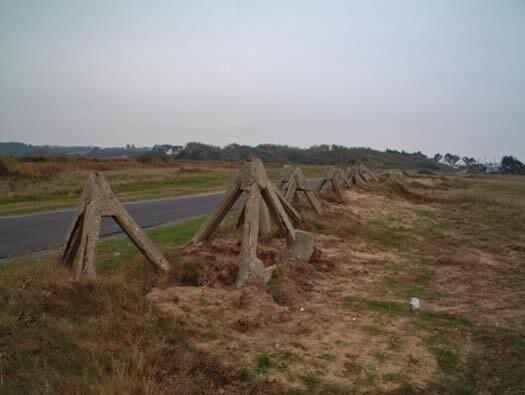 A row of concrete Tetraedres (Tetrahedral) usually used on the beach but hear as a sort of an ant-tank defence line. These have now been removed to I believe a museum?? 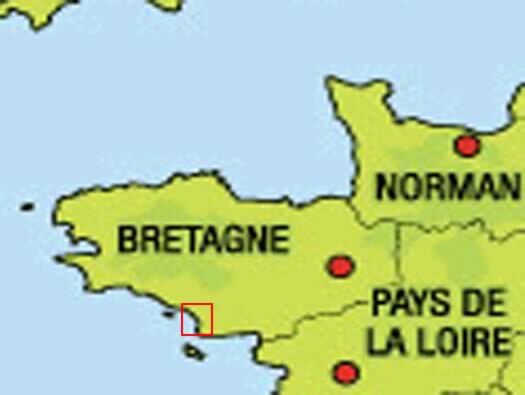 With the rise of French adventurers going out around the world Lorient ('The Orient') became their home port. With this happening under the noses of those pesky 'English'. The English of the period were trying themselves to take over the whole of the world wide trade and used its navy to stop any but there own ambition. 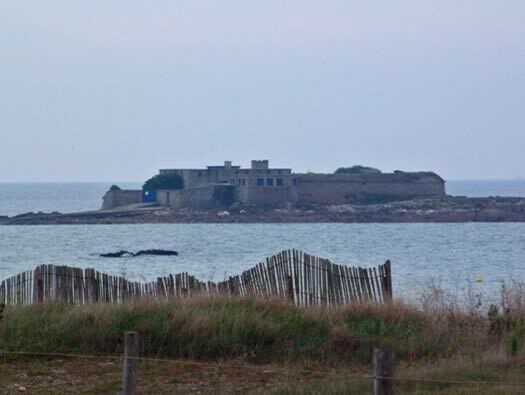 Lorient area was attacked on many locations and by 1747 Fort Bloque was built with other fortifications to protect the port of Lorient.